This sign is high quality, and well done. It is made of metal and the finish is bright and clear. 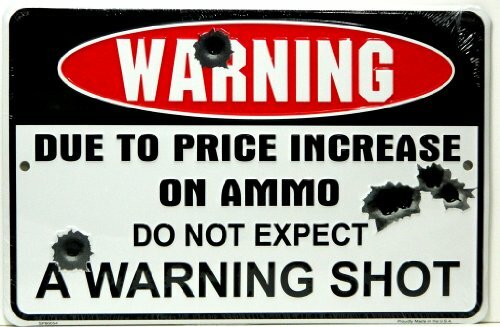 I got this sign to hang in my House. It is the first thing you see when you walk in the front door,it is the first and only warning that you will get if you are an bad guy trying to break in.